Pop quiz: What’s on a Gemini mom’s Christmas shopping list? Light-up sneakers, a new iPad, a home karaoke machine and a watercolor set. Oh, and a bunch of stuff for her kids, too. 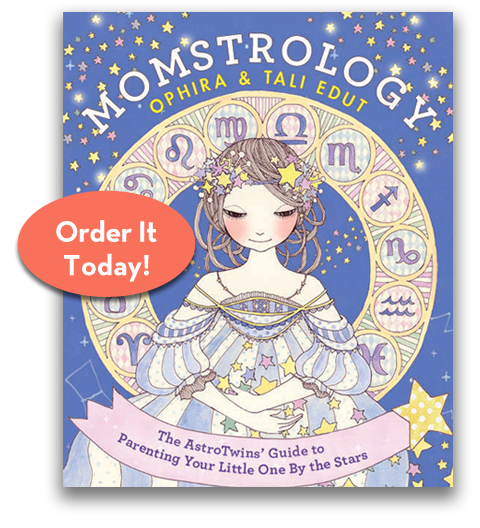 The Gemini mother is an eternal youth (at heart, anyhow), and often the most “with it” of all the parents. Your kids’ friends stop by after school to hang out with YOU. No surprise, since you’re always ready to talk about the latest fascinating findings, whether it’s cutting-edge research on organic farming, hot celebrity gossip, or the best site for music downloads. Modern-minded Gems are information sponges, drawn to the most cutting-edge ideas and innovations. You have a million hobbies and interests, making you quite the interesting mama. Your taste in clothing can be pretty hip, too. Who needs the mall? Your teenage daughter will shop in your closet. Hey, it’s your fault for being cooler than she is. Why is the sky blue? Why is grass green? While other moms would brush off these questions with a distracted “because they are, dear,” you’re on Wikipedia, answering with facts, teaching your four-year-old terms like “chlorophyll” and “photosynthesis.” Gemini is an intellectual air sign ruled by verbal, rational Mercury. You call the body parts by their textbook names, and the sooner you can dispel those myths about storks and Santa Claus, the better. Gemini rules early childhood, so “why?” is your sign’s favorite question. As a result, you honor your children’s desire to learn, especially through play and discovery. Their education will be of prime importance to you. By the time they’re born, you’ll have researched all the different methodologies, from Rudolph Steiner to Montessori, and the best educational toys for healthy socialization. Children need consistency, but for ever-changing Gemini, too much routine is torture. Since much of your life is staged in the short attention span theater, you have a hard time following through with all of the hobbies, activities and projects that you start. In your thirst for variety, you may unwittingly destabilize your kids. (High profile example: Gemini Angelina Jolie is a fascinating parent…but will her kids become weary little citizens of the world?) Some of this can be eased by hiring a good babysitter—especially an earth or a water sign—and caretakers who enjoy doing mundane tasks that you hate. Monitoring your speech is also uber-important for Gemini moms. Since you’re constantly changing your mind, you can accidentally talk out of both sides of your mouth, which can be confusing to your kids. They don’t understand why mommy was campaigning for animal rights all winter, but is eating grass-fed beef in the spring. The whole “do as I say, not as I do” thing doesn’t pass children’s finely-honed b.s. detectors. It can also breed rebellious teenagers who act out in an effort to test where you stand. Consciously pick a few key values and stick with them—both in your word and deed. You share eyeshadow with your daughter, guyliner with your son, and you occasionally fill in as a vocalist in their teenage friend’s band. And OMG, can you believe that somebody just texted you that? Gemini is the sign of the Twins, so it’s natural for you to seek your “other half,” turning your child into a kindred spirit. This can be a setup for future difficulties, though. Since you’re not one to censor yourself, your children may know all your dirty laundry quite young—especially since you leave it well within their sight. Gemini is ruled by Mercury, the communication planet, and you naturally love to chatter, share and gossip. You’re genuinely intrigued by the schoolyard dramas and interpersonal dynamics your kids are experiencing. But you could be doing more harm than good by getting involved in the daily dramatics of your children’s lives, or entangling them in yours. While it might seem fun to be BFFs with your kids, they don’t need a peer—they need a parent. Not everyone can handle being exposed to mature subjects at an early age, and it’s not fair to take their childhood away. The flip side of being the hippest mama on the block? You have to remind yourself to stay age-appropriate, especially while the kids are watching.